Thanks to everyone who entered the Roll It Right giveaway. 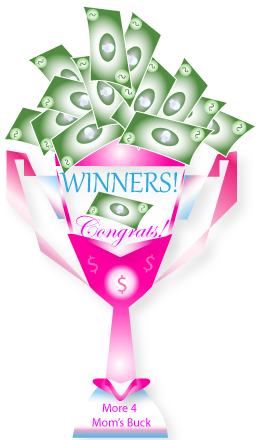 Congrats to Twingle Mommy and goldangel69 - you will be receiving and email from me shortly. Be sure to check the sidebar for all the other giveaways! I'm so glad I won! My little girl thinks she needs half a roll to wipe.